Heat 1 tsp oil in a pan, clove, cardamom, coriander seed, sesame seed, onion,tomato , ginger garlic paste & allow to cook until done. Allow it cool & grind to a paste. Pressure cook the soyabean upto 4-5 whistles. 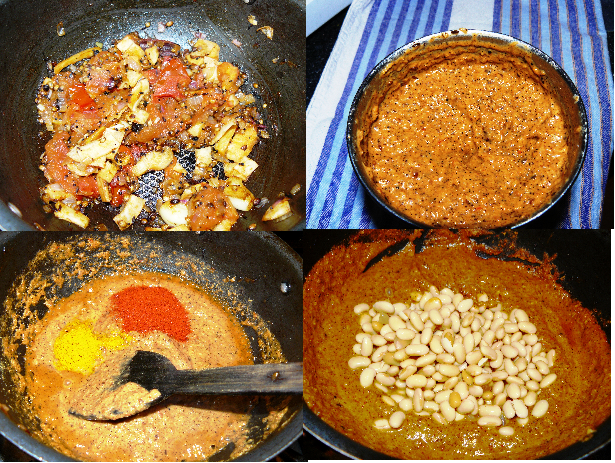 Add oil in a pan, add ground paste, turmeric powder, chilli powder & mix well. Add boiled soya bean & salt. Mix well & allow to cook until done. 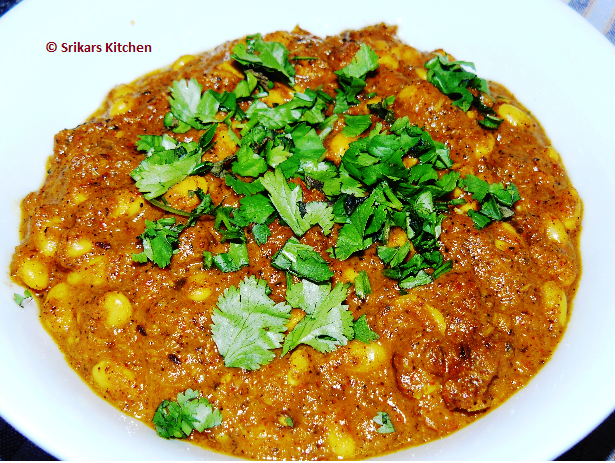 Garnish with cilantro & serve with roti or rice. 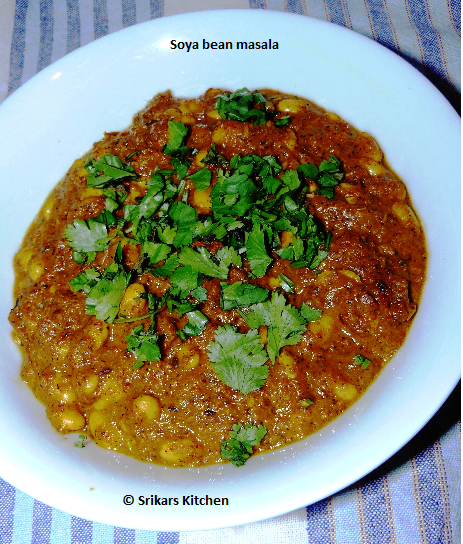 Delicious and tasty looking soyabean masala. Wonderful color as well. Wat a nutritious kurma, i have some soya ,have to make some soon.